Scanned it from my Artbook "All Colour But The Black". Proposed by Saikusa and highlighted by Revan. Ya'know I watch Bleach ALL the time cause I LOVE that show! 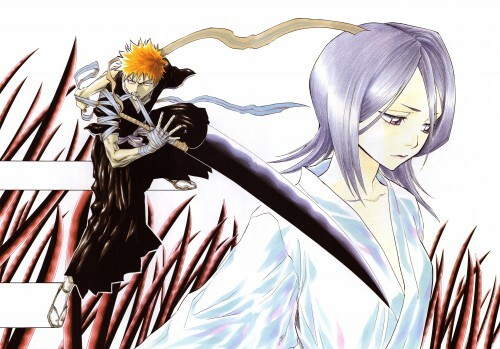 The main charactor is Ichigo. I LOVE him a -hole- lot! Thanking you so much for sharing. awesome scan thankyou so so much for sharing the pics with us! Lovely Scan indeed! Plan to practice making graphics for my secondary blog in tumblr.